Jackson Ski Touring Foundation - Jackson NH and Mt. Washington Valley Area Information. Pumpkin People, Tradionally Yours Events, Lodging specials, Dining and Ski Area Info. 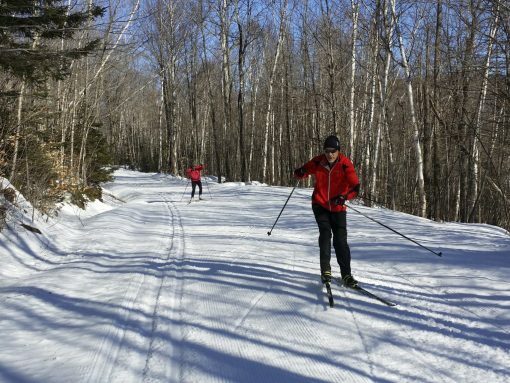 As a nonprofit organization, the Jackson Ski Touring Foundation (Jackson XC) provides recreational and competitive opportunities for cross country skiing and snowshoeing that enrich lives and promote healthy lifestyles for all. Dominated by views of Mount Washington and the famous Presidential Ridge, the 150 km trail system spans three river valleys and 60 square miles of the splendid highlands of the White Mountains. Skiers may tour sunny open vistas, serene woodland terrain, challenging mountain descents or our world class race course areas.